Come join the fun in my open sew classes. In this class, you will work on a project of your choice. It might be receiving help with an idea that your child has or working on a project they choose from my samples. The student must have taken my sewing I and II classes or its equivalency to join. This is not a class to learn the basics of sewing. 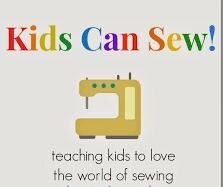 If you are looking for a beginner class please register for my Kids Sewing I or II camps. Step 1: Purchase a prepaid class card in store. Each 2-hour session is $25. Step 2: Sign up online for an "open sew" class. No payment is required at the time of registration because your prepaid card will be used for payment. Please do not just show up for a class without registering first because I cannot guarantee I will have room. Step 3: Show up 5 minutes early for class so you can get your card punched and get all settled and ready to work on your project and have some FUN! Please bring your sewing supplies if you have them. Skill Details: This class is for girls who have mastered beginners project and are interested in having a guided class to help them with a project. Instructor Bio: Lisa is the Co-owner of Buttons 'n' Bows with her mother, Marge. She has been teaching the kids sewing classes at Buttons 'n' Bows for 10 years. The sewing classes began as Summer Sewing Camps and have evolved into year-round sewing classes. She has sewn since the age of 8 and is proficient in sewing clothing, quilting, and craft sewing. She is the mother of 4 grown children.